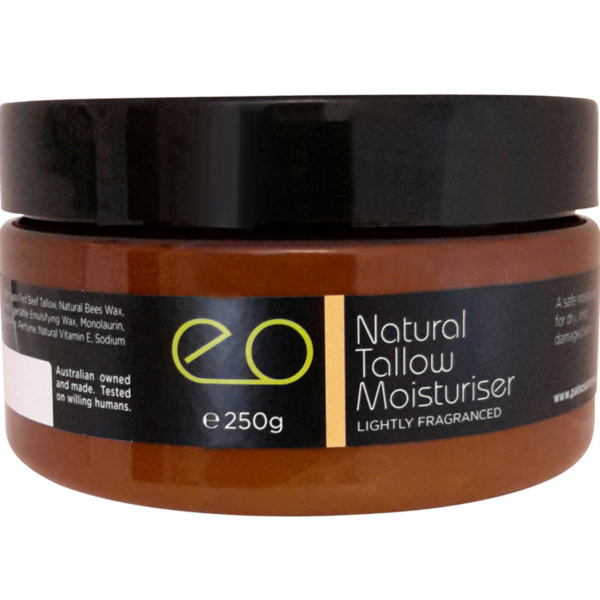 This natural tallow moisturiser has wonderful light scent and is very soothing for dry or problem skin. 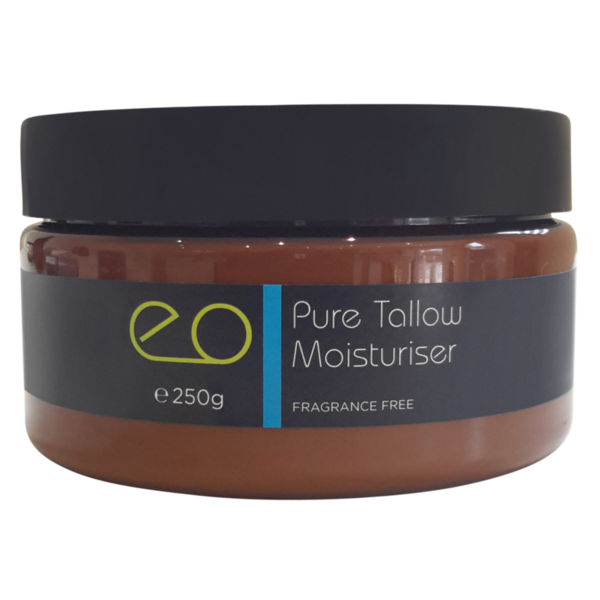 Good for very sensitive or problem skin that needs moisture that is not only healing but is completely safe to use. Not suitable for those with sensitivities to essential oils as it contains Rosemary Leaf Extract and Natural Plant Perfume. 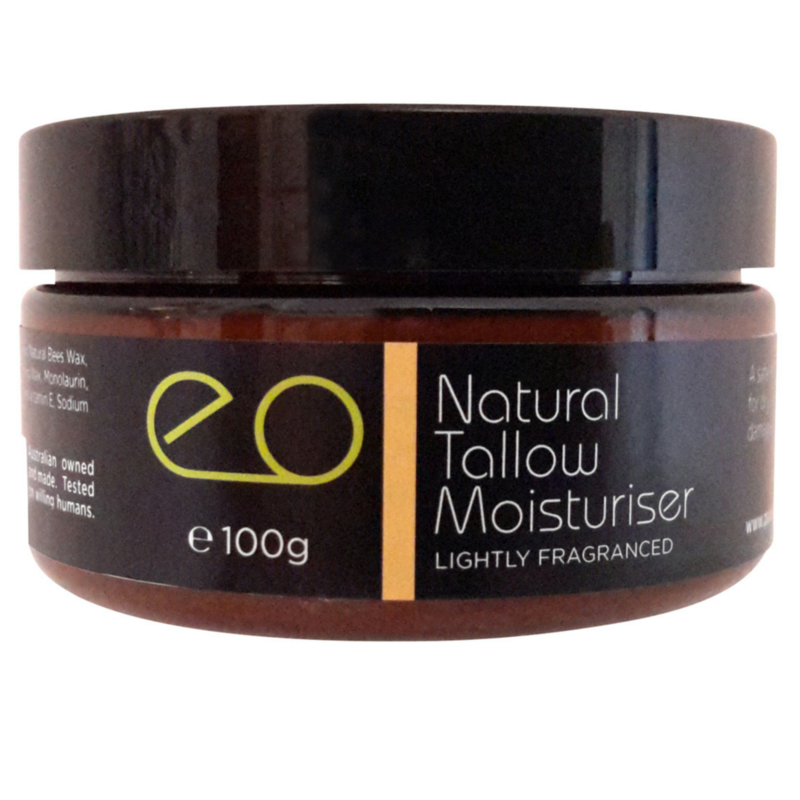 This is a rich moisturiser containing no artificial preservatives. 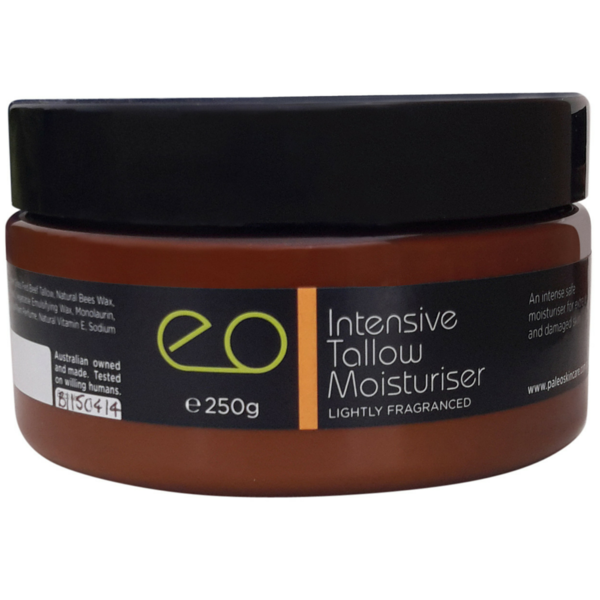 This Natural Tallow Moisturiser contains our secret and signature ingredient – grass-fed beef tallow. For Use on Body and Face. Use this as perfect night facial moisturiser for any skin type, or for those days where your skin is extra dry. Made in Australia, by Australians. Testing is only carried out on willing humans. 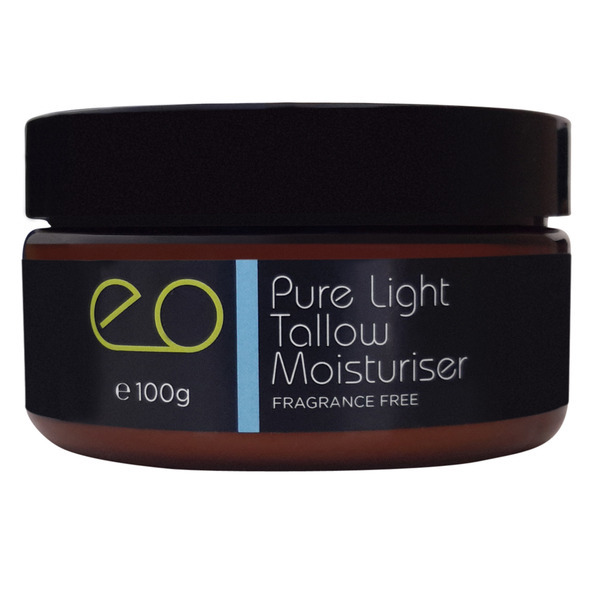 If you have chemical sensitivity we suggest you use the Pure Light Tallow Moisturiser or the Pure Tallow Moisturiser. I could not do without this product during the cold/windy months, as my skin gets so dry & cracked, both the back of my hands & my legs; I put some of this on after my shower, don't need much, it really helps.